SmartWool makes products mainly with treated merino wool. The company was founded in 1994 in Steamboat Springs, Colorado by Peter and Patty Duke, who were ski instructors. They wanted a pair of comfortable socks that would stand up to the test of their job. Understanding what is needed to perform your best is what sets SmartWool apart from their competitors. Your feet are one of the most important tools you have when it comes to living life and enjoying the great outdoors. If you’re still wearing cotton socks when you step outside every morning, you’re not giving your feet the respect they deserve. Get smarter about socks by shopping for a few new pairs at SmartWool. Save on those socks when you visit this page first to grab a SmartWool coupon. SmarWool gets its Merino wool exclusively from New Zealand Merino Company. On their website, you’ll find products for men, women, children and babies. They sell more than just socks, too. You can also find high-quality underwear, base layers, sweaters, everyday wear, and intimates. Find items for the next time you are headed out on the mountain like head wear, neck wear, hand wear, sleeves, and warmers. No matter what you purchase, you can rest assured that it was constructed to the highest quality standards. SmartWood uses products and processes that are guaranteed to improve your life and make you more comfortable. Specialized products are available for outdoor activity such as running, hiking, cycling, snow sports, fishing, and hunting. SmartWool products are designed to manage moisture, improve breathability, regulate temperature, and control odor. Their products are also designed to be flexible so that they do not bunch or restrict movement. When you shop at SmartWool.com, you’ll support their charity program called The SmartWool Advocacy Program, which supports non-profit organizations that promote outdoor activities for children. You’ll also support programs that educate children about environmental stewardship. That’s just another way that shopping with SmartWool is about so much more than buying new socks. If you’re ready to get smarter about socks or want to purchase some high-quality SmartWool apparel, you’ve come to the right place. 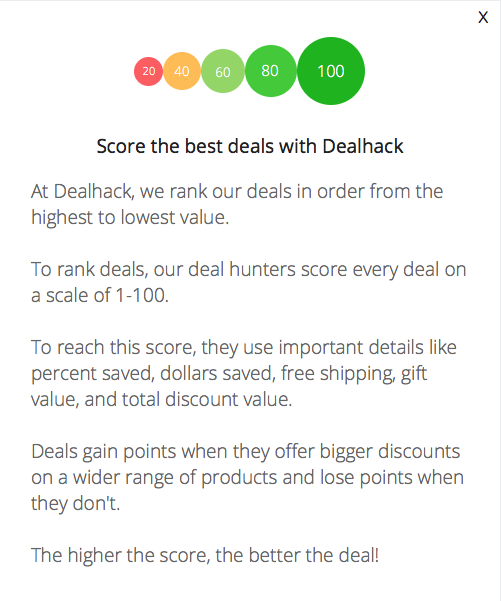 Dealhack is designed to help you save. Grab one of our SmartWool coupons and save on your order today. If a promo code appears when you click on an offer, paste that code at checkout to enjoy your savings. If you have any questions about SmartWool products, they want to hear from you. Contact customer service by sending an email to [email protected] or calling 1-888-879-9665. Follow SmartWool on Twitter, Facebook, and Instagram for great photos of the outdoors and entertaining articles. Sign up for the SmartWool email newsletter to learn about upcoming deals and discounts. Join the SmartWool rewards program for great offers. Get a surprise bonus at any time or purchase five pairs of socks and get a sixth free. You’ll also receive exclusive member offers. Use the SmartWool store locator on their site to find stores near you that carry SmartWool products. There is a fit & design page on their site for customers looking to find the perfect fit. What is Today’s Best SmartWool Promo Code? The best SmartWool promo code right now is ECP. This code is for '20% off your order'. Copy it and enter it on the SmartWool checkout page to use it. Flat rate standard shipping is available within the 48 contiguous states. Return an item along with a receipt if you’re not satisfied with it, and you’ll be eligible for a full refund within two years. Normal wear and tear are not covered under SmartWool’s warranty.